Posted on October 21, 2014, in Fun Stuff, Hey! Comix!, Life and tagged Batman, comics, fun stuff, life. Bookmark the permalink. 11 Comments. 499 whacked out posts. All because of you. I don’t know what I’ll do for the 500th. Probably something anti-climactic. On your post – congrats on 500, dude! – you wrote “.. like Nightsky, we celebrate by playing with numbers.” Well then… let’s play with some numbers so much even Einstein would get ticked. This 200th post came on a Twosday exactly 2 years and two months (minus 2 days for each of the 2 years, or 4 (2+2) days) after I started it in 2012 (two 2s, for the 2nd time this century, the other being 2002, which only had 2 actual integers), with 2 images of 2 of my fave comic characters (the 2nd image has 2 heroes), was posted at 2:12 PM,* and as of this writing, has 2 comments (or a comment and a pingback. Same diff). And I’m writing this 2 calendar days after I posted (I’m up past midnight again). Posted on Oct 21… 10/21. 1+0+2+1 = 4, or 2 + 2 (or 2 x 2… that’s 2 ways of arriving at the same sum). Add in the year and we get 10/21/2014, or 1+0+2+1+2+0+1+4 = 11, or 2 ones, which added together = 2. I could probably come up with more if I thought about it some. Such as 2014 is the 2nd year this century with 4 unique integers, the last 3-integer year being 2012. 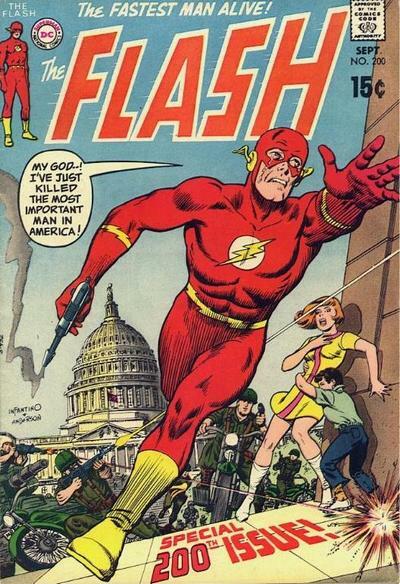 Also 2 images of Flash** on the first cover, and 2 images of Batman smiling on the 2nd. Yeah, this is how my mind works. Sick of numbers yet? * Or maybe 2:11, which has a 2 and 2 ones. The clock was rolling to 2:12 just as a posted. I didn’t even notice the time til I was halfway through the post. ** Addendum no. 2 (!) 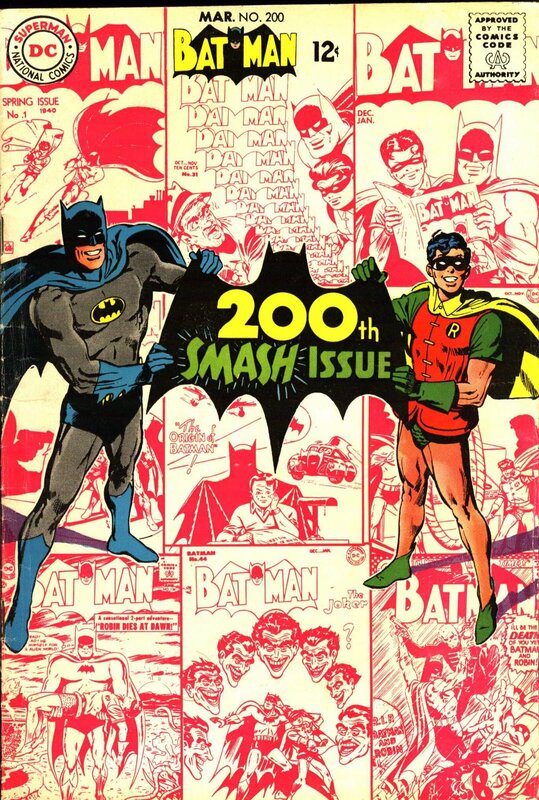 – That 200th issue of Flash had the number “200” appear 200 times throughout the book. I tried Googling it to confirm that my memory is correct, but I got a ton of unrelated stuff, and Zappa’s 200 Hotels. Go fig. “Sick” is a strong word. Let’s just say I’m dizzy from the numbers. Yeah, dizzy. And the dizziness has not yet advanced to the “get sick” stage yet. But seriously, that’s . . . going deep into the numbers, bruh. It also partially explains something I was wondering, which was why you didn’t post on October 22nd. I just messed up your “two comments” thing. How can I ever make it up to you? 10/22/2014? the math didn’t add up. 1+0+2+2+1+4 = 10 = 1+0 = 1, and 1+0+2+2+2+0+1+4 = 12 = 1+2 = 3. Although they are the TWO numbers around the number TWO. Heh. Seriously, I gave a bit of thought to the math before posting, but most of what I wrote up there I came up with on the fly while writing it. Ok, I’ll try to stop with this now..
Do you remember where you where on February 2, in 2002, two seconds after 2:02? Two words for you – Day/night? Round these parts, 2:10 pm is known as 14:02. Er, I meant 2:02:02 pm is known as 14:02:02. By the way, the stroke of midnight is 0:00:00. It might be useful to know that if you ever get caught in the alternate reality of an East Asian horror flick.